I am an avid reader with a big, enthusiastic passion for PNI, neuroscience and neurotheology. And what I learn, I incorporate into my practise, as a healer who specialises in colour therapy, creative imagery and therapeutic story-telling. Metaphor, in particular, is a very powerful form of subtle suggestion I use over and over again in my work, especially colour-based metaphors. The missing Aura Card stock rediscovered! I had a sudden idea yesterday, to create a Facebook group for Reading the Aura Cards. Reading the cards is quite an art and it can help if you have a group of people on hand to help you with explore possible interpretations. If you have a deck, or someone (like me) has done a reading for you and you are curious about some of the colours, you might like to join the group. There are quite a few Aura Card and Book sets scattered throughout Australia and up until the other day, I had thought we’d seen the last of the first edition with its lovingly hand-made deck of cards. I really didn’t have then energy to create more: what a labour of love! Then a family member unearthed an entire bag of Aura Card decks! So now I have some stock to tide me over while I muddle my way through the process of creating the first commercial deck. Being me, it’s imperative that I procrastinate and change my mind a million times before I get started, otherwise there will be a miserable trail of half-completed and discarded projects scattered in my wake. I’ve been conferring with a few people who use the cards as much as I do, both professionally and personally, and have received a very firm cry of “No!” to my initial idea of reducing the number of cards in each deck. So at this stage it looks like we will stick with the original 88 cards. But we all agree I need to change the name of “Aesthetic” back to the very first name I gave it when I was starting to read the aura: “Space”. The glorious minty-green aura frequency has always been a tricky one to name! My current idea is to do some small edits to the original book and then get started on a new one. I’ve had an “Aura Colour Magic” book rolling around in my mind for a while now. It would have more emphasis on creative visualisation and colour-based tools such as crystals. 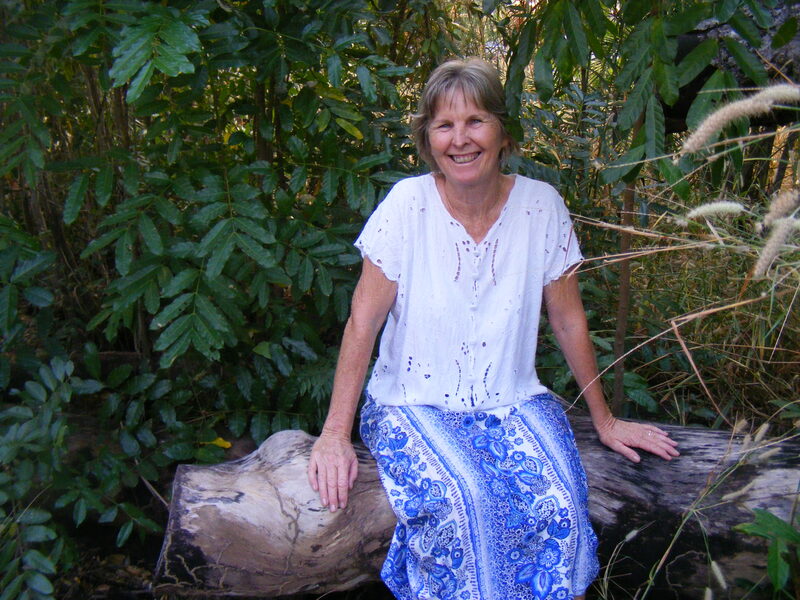 But that’s just one of many ideas…..
Jennifer Wyatt is an Aura Soma and flower essence therapist who lives and works in the rural area of Darwin, Australia. This is the second in a series of practitioner interviews conducted by Omanisa. I work with flower essences, colour therapy and energy healing, At the moment I have a special energy healing package, which includes a card reading using either angel cards, flower cards or your aura cards plus an energy healing session. Also included is a take home pack of an essence, a pack of my wellness motivation cards, a crystal and a colour meditation to work with. 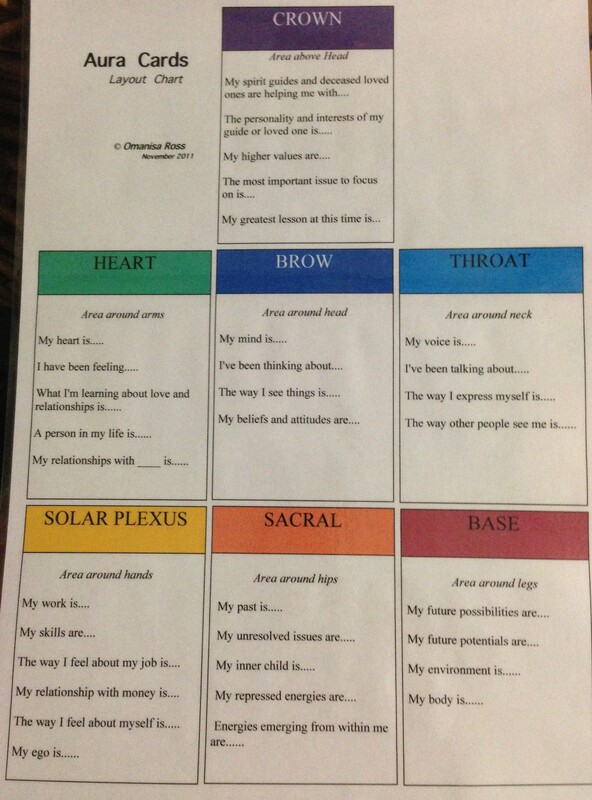 I also offer a colour reflection reading, where I either use your Aura Cards or the Aura Soma® bottles. The aura soma is excellent for tapping into issues that are really affecting a person. It’s a colour therapy system, wherein you choose four bottles and your choices tell your story. The first bottle reveals your mission and purpose, what you are here to be working on. The second bottle is your challenge and talents bottle; your challenge, once you work through it, becomes your talent. The third bottle is to do with your here and now. The last bottle represents what you are currently creating for yourself . Aura Soma® is a non-intrusive colour-care system because the client chooses the bottles themselves and the colours are a mirror of the client. I just interpret the positions, colours and colour combinations. 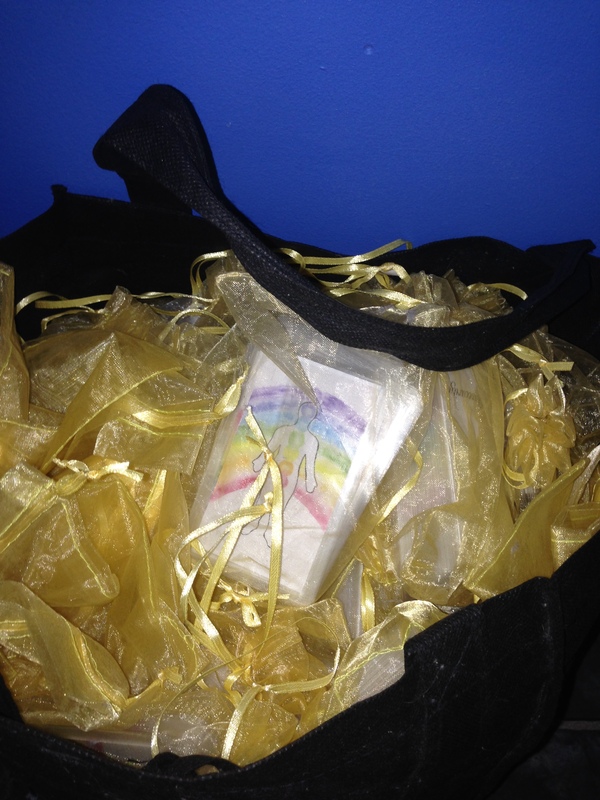 I also give the clients tools to work with and ways to incorporate their chosen colours in their life. If someone books in for an Aura Soma® session I usually send them home either with their second Aura Soma bottle choice or with a bottle of flower essence. If people want a specific flower essence or a blend made up, they can call and ask me to make something up for them without an appointment or they can book a flower essence session with me. Like you, I make my own flower essences, but I also work with Bach and Australian Bush Flower Essences. I did a herbal course many years ago and one of the units was about flower essences and that was it; it was like coming home. “Oh this is my thing!”. This was when I first I learned about the Bach flower essences and then some time later I learned about the Australian Bush Flower Essences and eventually bought my own kit. I have a beautiful home clinic on my rural property in Humpty Doo, where I spend a lot of time in my garden! I love working in my garden and I love plants . 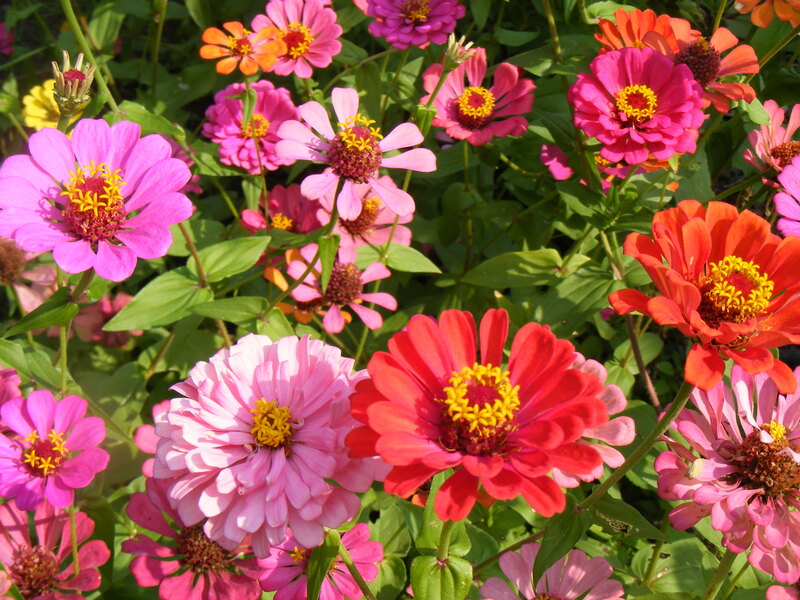 Using flower essences in my work is an extension of my deep love for Earth and my garden. It’s like bringing the essence of my garden into my healing work. Where does your gardening passion come from? I could probably trace it back to Mum. She always had a vegetable garden. We were brought up on fresh fruit and vegetables. Of all us seven siblings, six of us have a vegetable garden, and it’s been passed on to my children too. I really only developed my passion for gardening as I grew older, when I became more settled with children. Do you have a favourite plant in your garden at the moment? 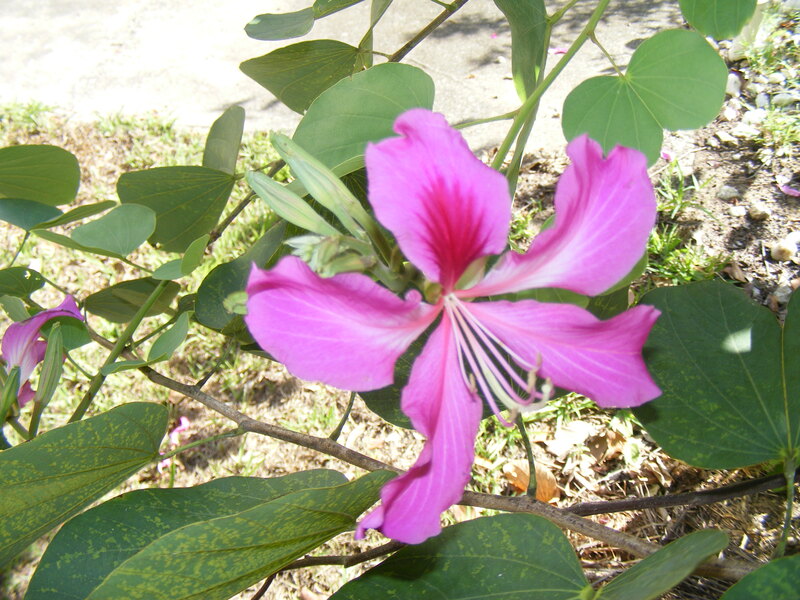 The bauhinia tree is flowering now, and it’s so beautiful! Is there anything else you do professionally? I’m currently doing a Red-Tent facilitator’s course. It’s a course for women, a women’s sharing group. I also teach Ageless Grace, a set of 21 tools or exercises that help keep your body and mind mobile and flexible. It’s so easy, done sitting down on a chair and it’s great fun, no two exercise sessions are ever the same. The founder Denise Medved works with people who have had strokes, or people with dementia or Alzheimers. She has a wonderful story about a client who couldn’t actually do one of the exercises, so she advised the client to simply use visualisation and eventually she was able to move her leg. I’m a big fan of visualisation! I love working with women. I love facilitating, making it easier for them to grow their spirituality, to tap into their inner most self and be authentic. I love helping them realise their potential. Obviously that doesn’t happen in one session, but you can be a catalyst, helping them onto their path. I also love working with the gifts of nature. Jennifer Wyat can be contacted for bookings or more information on 0407398233 or emailed at in wellness@outlook.com. You can visit her website here. 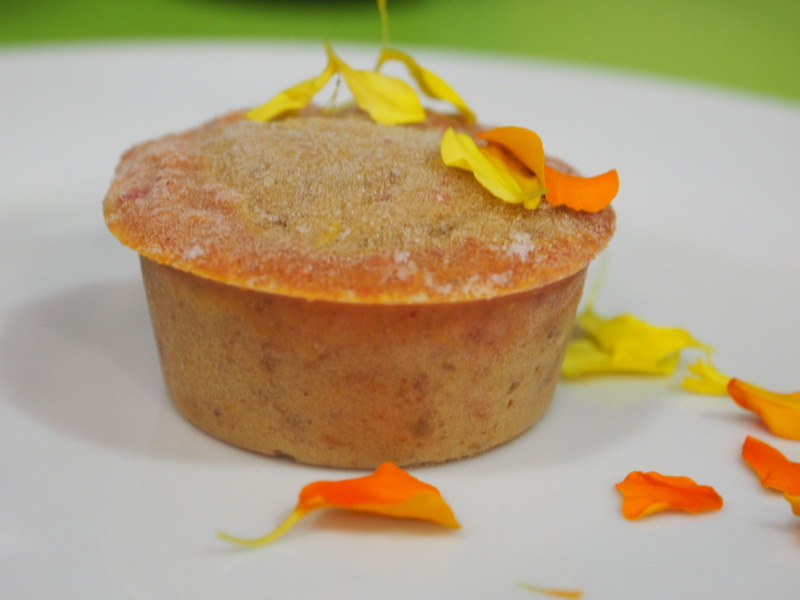 If you’ve been reading my most recent blogs, you will know I’ve been making food-as-medicine chakra-cakes. On the weekend I made a decision-making cake, using the colours we find in the aura of excellent decision-makers: yellow and orange. Yellow gives us clarity, vision and inspiration. Orange helps with goal setting, motivation and enthusiasm. Another way of thinking about this is that yellow provides and stimulates a really good idea, like a light-bulb flashing on….. while orange provides the inner-child vitality energy needed to pursue the idea into reality, with all the inner child’s marvellous ability to playfully side-step obstacles and turn lemons into lemonade. Orange makes us adaptable and resilient, flexible and creative. So this is a belly chakra, solar plexus cake!